This was last weekend’s breakfast that I think will be repeated this weekend. The girls loved the fried potatoes. In fact, last night when we had some grilled steaks, they were asking for these to go along with the steaks, but Jade had already made mashed potatoes, so I told them next time. My step-dad who was from Kentucky but raised the Southern way, introduced me and my sisters to this dish. But whenever I tried to cook it, I always ended up burning the onions before the potatoes could brown and crisp up. Finally, I came up with another way to still get the onion flavor without burning them. 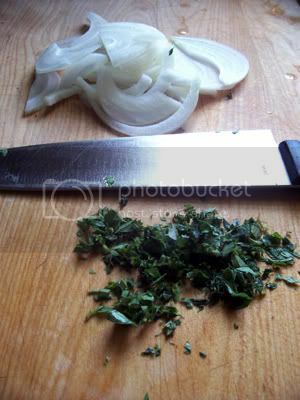 I usually like to use sweet onions for this recipe, but regular old brown or yellow onions work nicely too. These are very easy to make. You can make them while the bacon is baking and they should finish up about the same time. 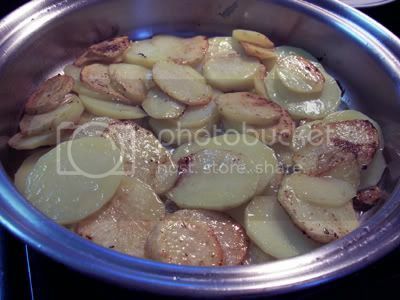 Begin by heating up about two tablespoons of oil in a heavy bottomed pan and layer the potatoes in the pan. Let them get a nice brown color and turn them over. 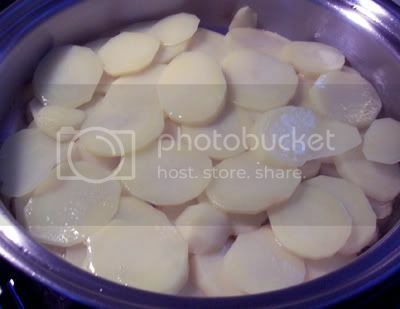 Put the onions on top of the browned potatoes, put the lid on and cook until the other side has had a chance to brown too. 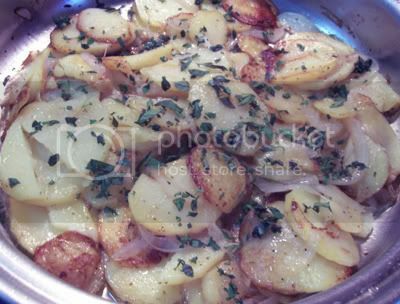 When the potatoes and onions are cooked, stir in the fresh herbs, season with salt & pepper and let it cook for another minute. Then dig in! 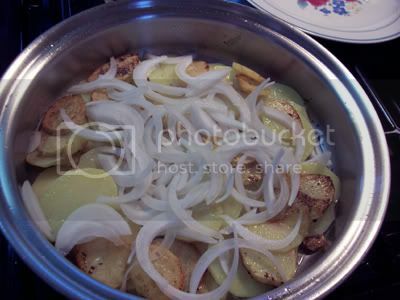 My mom used to caramelize the onions first, which made for a wonderful smoky-sweet taste to the potatoes. Thanks for bringing back happy memories of huge Sunday breakfasts! I just toss my onions in right at the end, but this looks great, too! Definitely a good way to start any day of the week! Yum! 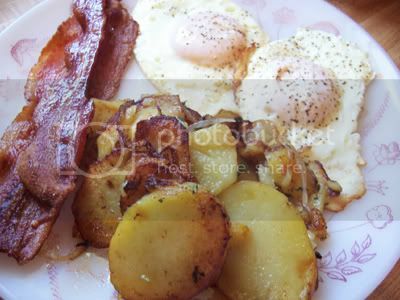 Fried potatoes are one of my all time favorites, in fact my son cooked some for us last night to have with our grilled chicken breasts. We were strapped for time so I tried something we haven’t done before, we microwaved them to par cook them. Also, if we are using new potatoes, which is what we have this time of year, we cook them with the skin on. The most important thing in making fried potatoes, or home fries as we call them is to make sure you can get a good brown crust on them. Yours look great! That is such a yummy picture. I LOVE fried potatoes. I could eat them almost with every meal. My dad made them alot growing up. This might sound weird but they are great with a little mustard on them. OMG YUM! My stomach is literally growling reading this post!! I’ve gotta make some of these!